Broken Bones is a craft distillery that grew out of the passion of two friends who both share a family tradition of producing wine and spirits during the last century. 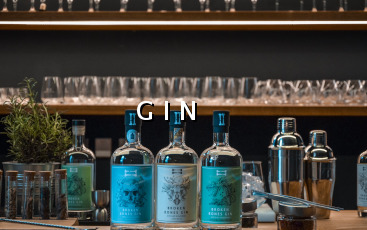 Equipped with the knowledge and experience of their forebears, Borut and Boštjan set out to create something different and original: Slovenian whisky and gin – spirits that would combine an expert knowledge of traditional distilling with a distinctive Slovenian origin. The aspiration became reality as the result of years of experimentation, and the creation of truly distinctive spirits also demanded distilling equipment made to our own specifications. The Broken Bones name suggested itself when in July 2016 both Borut and Boštjan required hospital treatment after accidents (one broken leg and one broken nose) while filling the first whisky barrels. Luckily the breaks weren't too bad, and we did gain the brand name for our spirits and distillery. 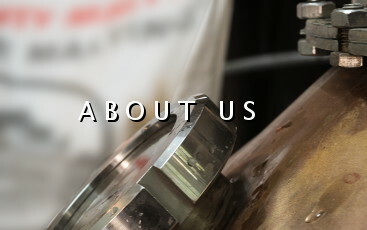 All of our spirits are made in small batches, each of which is unique. And so, here they are – Slovene whisky and gin. Enjoy! The Broken Bones distillery is located in the Kodeljevo district of Ljubljana, the capital of Slovenia. 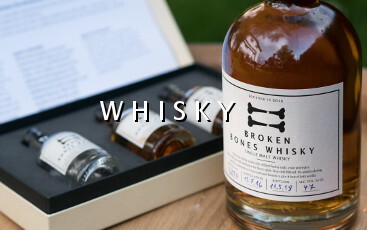 The entire distillation process is completed at Broken Bones Distillery. The maturation warehouses are located in parkland just outside Ljubljana. Our team are all seasoned professionals with long love and deep understanding of all alcohol related stuff. A computer scientist and experienced entrepreneur, Boštjan has a real passion for wines and spirits. His professional path towards distilling began with marriage into a family vineyard with a long tradition. This provided Boštjan with the opportunity to learn all aspects of viticulture and winemaking. He trained extensively in wine cellaring and taste analysis. Over the last ten years, Boštjan has been brewing beer, for which he also undertook training. He is currently studying for his distilling diploma at the renowned British Institute for Brewing and Distilling. He got together with Borut in 2011 and started experimenting with whisky and gin distillation. With the experience of several successful business ventures behind them, they set out to create their own distinctive and original Slovenian spirits. Borut is a professor of philosophy with substantial professional experience in various fields beyond his academic background. A whisky aficionado since the early 1990s, Borut was importing and selling whisky in Slovenia almost immediately after independent entrepreneurship became possible after Slovenian independence in 1991. At this time, the best-known whisky brand in his portfolio was The Famous Grouse. Borut’s grandfather was an award-winning winemaker and his chemist father invented his own distillery equipment for various purposes including distilling fruit brandies This is how Borut first learned about the mysteries of spirit production. He was also involved in the Slovenian Absinthe revival in the 1990s.